Grippy quick-drying water shoes for fans of Mickey Mouse. They'll bring their favourite mouse to the pool. These water shoes are built with a quick-drying textile upper. A hook-and-loop closure features a Mickey Mouse silhouette. 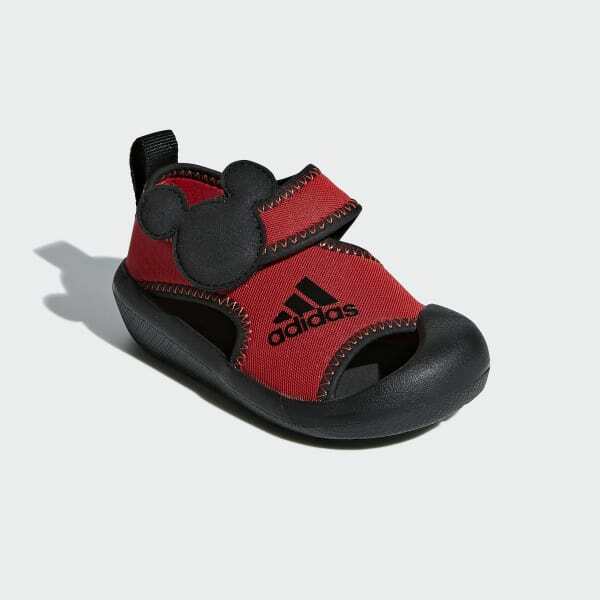 The Disney-themed sandals have a rubber cupsole that offers a sturdy grip on wet surfaces.